Enjoy the convenience of a wireless connection while listening to your favorite tunes. 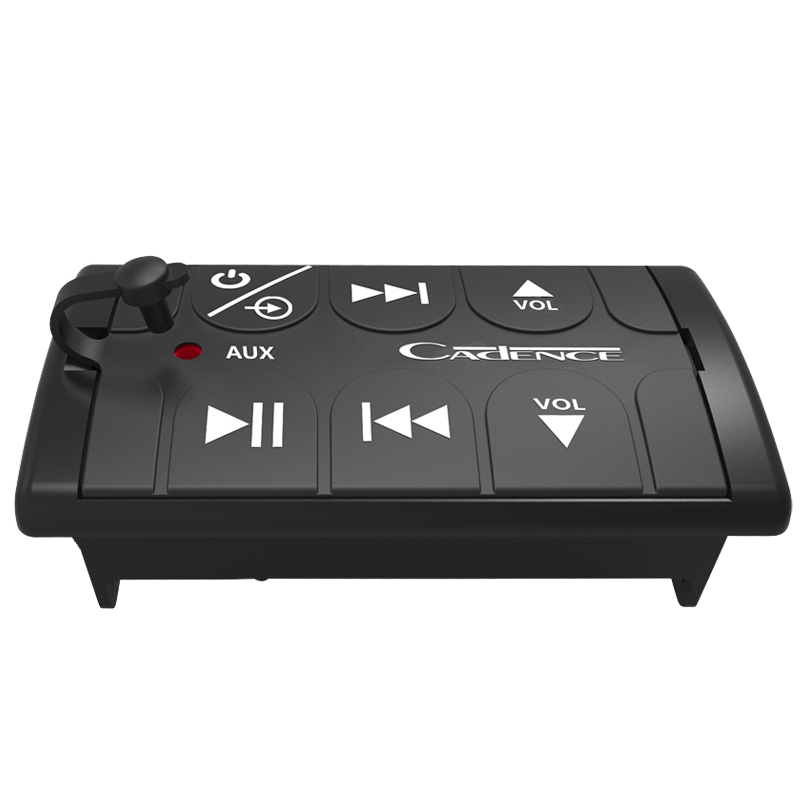 The Cadence BTM-1 Universal Wireless Receiver enables wireless connection of your Bluetooth-enabled devices (such as your Apple iPod/iPhone/iPad, Android smartphone/Windows smartphones/tablet,Blackberry, or laptop/computer) to your audio entertainment system. The Cadence BTM-1 Wireless Receiver is fitted with a 3.5 mm Aux input on front panel and set of female stereo RCA output connectors on the rear that includes a Set of Aux RCA inputs. The Frequency Response pushes 20 Hz - 20 kHz. The Sensitivity pushes 95 dB. It has a System Impedance of 4-Ohm. It has a THD of 0.05%. The Max Output Level is 1.3 Volts RMS. The Dimensions are as follows: 3.82" X 2.13" X 1.4".